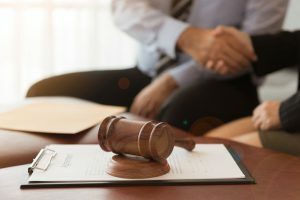 The attorneys at Keough & Moody, P.C., have represented many including lenders, businesses, developers, not-for-profit corporations and the Department of Housing and Urban Development. Providing aptitude and experience while safeguarding our clients’ interests, we address a diverse range of issues along the way. Keough & Moody, P.C., has been successfully representing banks and lending institutions for over 20 years. We work with lenders of all sizes, providing legal services in several areas. We represent lenders in foreclosure of both commercial and residential properties from initiation of the process to the judgment, sale and eviction. Our attorneys have extensive experience with Chapter 7 and Chapter 13 bankruptcies. We assist in filing proofs of claim and objections, reviewing plans and evaluating debtors’ schedules, prosecuting motions to lift stay, and asset recovery.